In their marketing materials, Linda and Stafford Starcher, Realtors for RE/MAX Alliance Group, promote Northwood as "One of Sarasota's Best Kept Secrets." The enclave of 38 homes on 47th Street, just east of Tuttle Avenue, is tucked away, intimate and private. "You are not going to brush by and say, 'Oh, let's stop here,'" says Linda. "You have to have an agenda to actually go there and find it. People who drive in either live there or got lost." 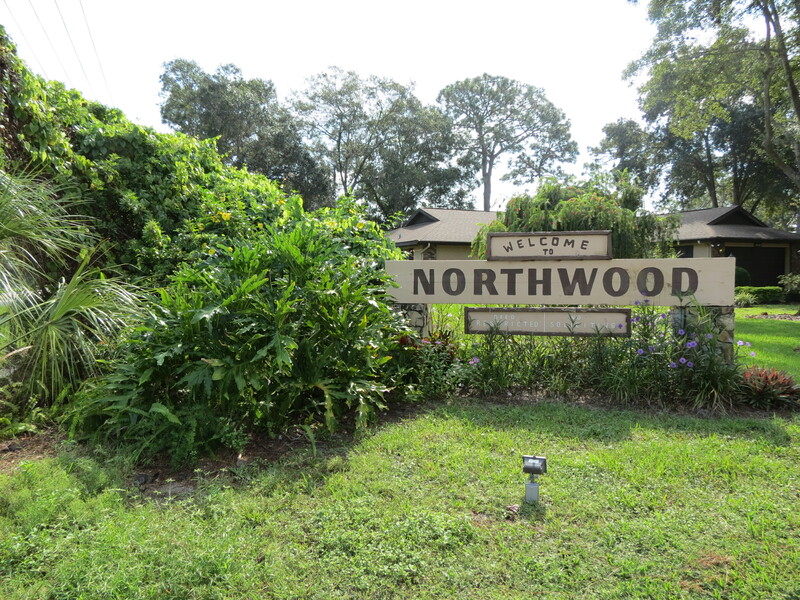 Replete with lush foliage, Northwood exudes charm. The meandering roads split around center islands dotted with saw palmetto and native shrubs. 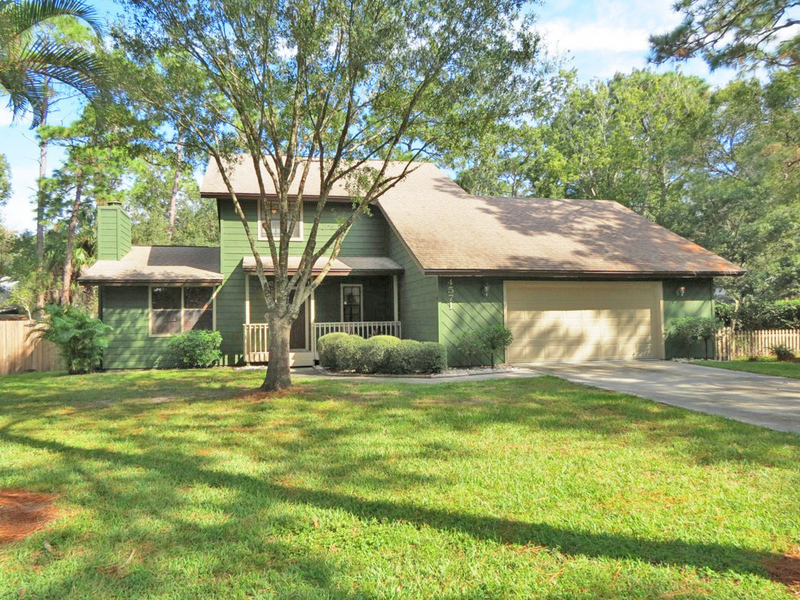 Stately pines, live oaks and other mature trees provide a leafy canopy, but there is an open, airy quality throughout. "Once you turn in, you relax; it's very calming," says Stafford. Many of the houses were custom-built by Lee Wetherington and other builders in the early 1980s, when the area was developed. No unifying architectural style prevails. There are single-story Florida ranches, 2-story frame houses with porches and balconies, and concrete-block Colonials. Finishes range from horizontal and vertical slats, weather-treated or painted, to red brick to stonework. There is even a large house built from logs. "Each home has its own personality," says Linda Starcher. Most of the houses in Northwood have been remodeled to suit the tastes of their owners. The 2-story, 3-bedroom house the Starchers have listed at 4571 Northwood Terrace, for example, has a spacious, sunken living room with a flagstone fireplace, oak cabinetry, wood blinds throughout, and a completely remodeled and updated master bath. Residents are a mix of families, artists, year-round retirees and academics who love gardens and plants, and value their privacy. Generously sized lots make it possible to have play areas for children and park recreational vehicles or boats on a trailer in the back yards, as long as they're not visible from the street. Another attraction is the proximity to the University Parkway corridor and educational institutions, such as New College USF-Sarasota Manatee. The Ringling Museum, Asolo Theater and Sarasota Ballet are just down the road, as is the Sarasota-Bradenton airport. Shopping, restaurants and the Parkway Cinema are close by. "Basically, anything you need is within 10 minutes," says Stafford. Another amenity is the Rolling Green Golf Course just across Tuttle Avenue. The privately owned club has 18 holes of tree-lined fairways. There is a full driving range, practice putting and chipping greens, a clubhouse and restaurant, all open to the public. Known for its challenging par-3 holes, friendly staff and reasonable rates, it is one of Sarasota's most popular courses. "It's a great place to have fun or go to refine your game," says Stafford, who has played there. "It's packed during the season — snowbirds love it." With a limited supply of homes and loyal residents, Northwood has been a stable neighborhood even during the housing boom and bust. Since the beginning of 2011, there have been six sales ranging in from $248,000 to $311,500, none of them short sales or REOs. "They are all in that sweet spot of the most popular current pricing," says Stafford. When houses come on the market, they do not go unsold for long. The average time over the past 2 years has been 28 days with two listings taking less than two weeks to sell. "People discover Northwood and can't help falling in love with it," Linda says. "It's a great place to have fun or go to refine your game for the toughest courses in the area."